Dr. Bidram is currently an Assistant Professor in the Electrical and Computer Engineering Department, University of New Mexico, Albuquerque, NM, USA. He has received his B.Sc. and M.Sc. from Isfahan University of Technology, Iran, in 2008 and 2010, and Ph.D. from the University of Texas at Arlington, USA, in 2014. Before joining University of New Mexico, he worked with Quanta Technology, LLC, and was involved in a wide range of projects in electric power industry. He is an Associate Editor for the IEEE Transactions on Industry Applications. His area of expertise lies within control and coordination of energy assets in power electronics-intensive energy distribution grids. Such research efforts are culminated in a book, several journal papers in top publication venues and articles in peer-reviewed conference proceedings, and technical reports. 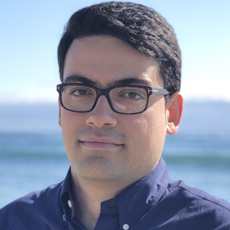 He has received University of Texas at Arlington N. M. Stelmakh outstanding student research award, Quanta Technology Shooting Start award, and cover article of December 2014 in IEEE Control Systems. Professor Thomas Preston Caudell received his PhD in Physics with a minor in Astronomy from the University of Arizona, Tucson in 1980. After his postdoctoral work, in 1984 he became a Senior Staff Physicist at the Hughes Artificial Intelligence Center in Malibu, CA where he did artificial intelligence, virtual reality, and neural network research. In 1989 he joined The Boeing Company in Seattle, WA as a Senior Principal Scientist, where he did work in neural networks and augmented reality, coining the term in 1990. 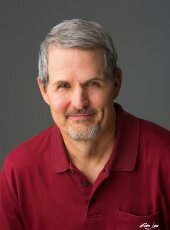 Professor Caudell joined The University of New Mexico in 1994 where he was Professor of Electrical and Computer Engineering with secondary appointments in Computer Science & Psychology until 2014 when he retired. He is currently a Emeritus Professor in the Department of Electrical and Computer Engineering as well as Research Professor in the Department of Mechanical Engineering. The focus of his research remains in neural networks. Specifically he is addressing neuro-biologically motivated, mathematical formulated theories and simulation models of neural systems. 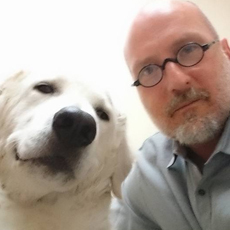 His research is highly interdisciplinary, involving collaborations with neuroscientists, psychologists, mathematicians, and computer scientists. Dr. Sang Lee received his B.S. from Yonsei University in Seoul, Korea, and M.S. degree from Stanford University in mechanical engineering, followed by Ph.D. degree from University of Illinois at Urbana-Champaign in aerospace engineering. He joined the Department of Mechanical Engineering in the Fall of 2016 after working at the National Renewable Energy Laboratory for 6 years. He has an extensive background in high-fidelity simulation of various fluid mechanic disciplines which include, supersonic boundary layer, atmospheric boundary layer, and wind farms. He has authored 22 journal publications and 20 conference papers. Meeko Oishi received the Ph.D. (2004) and M.S. (2000) in Mechanical Engineering from Stanford University (Ph.D. minor, Electrical Engineering), and a B.S.E. in Mechanical Engineering from Princeton University (1998). She is an Associate Professor of Electrical and Computer Engineering at the University of New Mexico. She previously held a faculty position at the University of British Columbia at Vancouver, and postdoctoral positions at Sandia National Laboratories and at the National Ecological Observatory Network. She is the recipient of the UNM Regents’ Lectureship, the NSF CAREER Award, the UNM Teaching Fellowship, the Peter Wall Institute Early Career Scholar Award, the Truman Postdoctoral Fellowship in National Security Science and Engineering, and the George Bienkowski Memorial Prize, Princeton University. She was a Summer Faculty Fellow at AFRL Space Vehicles Directorate, and a Science and Technology Policy Fellow at The National Academies. Dr. Oishi's research interests include Human cyber-physical systems, probabilistic verification, optimization, stochastic optimal control, and reinforcement learning. 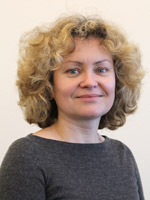 Dr. Svetlana V. Poroseva is an Associate Professor at the Mechanical Engineering Department of the University of New Mexico. She holds Ph.D. in fluid and plasma mechanics from the Novosibirsk State University, Russia. 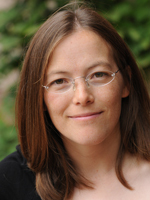 Her current research interests include modeling and simulation of turbulent flows, computational fluid dynamics with application to aerospace and wind energy, survivability analysis of power and biological systems, bio-inspired design, and analysis and quantification of uncertainty in simulations. Prior joining UNM, she was affiliated with the Center for Turbulence Research at the Stanford University, Aerospace Engineering Department at the TAMU, and the Center for Advanced Power Systems and the School of Computational Science at the Florida State University. Dr. Poroseva is an Associate Fellow of AIAA, a member of APS DFD and SWE, as well as an Honorary Member of the Pi Tau Sigma Society. She is the Faculty Advisor for the UNM student chapters of AIAA and SWE, and is the recipient of the American Society for Engineering Education Gulf-SouthWest Section Outstanding Teaching Award 2015. Dr. 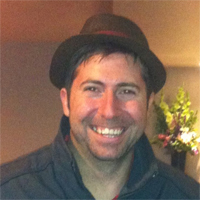 Rush D. Robinett III is the Co-Director of the Agile and Interconnected Microgrids Center, the Director of Research, and the Richard and Elizabeth Henes Chair Professor in Mechanical Engineering-Engineering Mechanics at Michigan Technological University. He specializes in nonlinear control and optimal system design of energy, robotics, and aerospace systems. Over the past 15 years, Dr. Robinett has been developing innovative controls and optimization techniques based on exergy concepts. 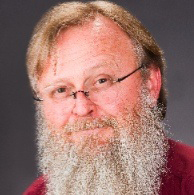 In January 2013, he retired from Sandia National Laboratories after 25 years of service as the Senior Manager of the Grid Modernization and Military Energy Systems Group focusing on the research and development of microgrids and networked microgrids. During his 25 year career, Dr. Robinett worked on ballistic missile defense, spacecraft systems, glide weapons, teams of robots, and renewable energy grid integration. He is an associate fellow of AIAA and has authored more than 200 technical articles including 3 books and holds 14 patents. Dr. Robinett has three degrees in Aerospace Engineering: a BS and Ph.D. from Texas A&M University and an MS from the University of Texas at Austin. 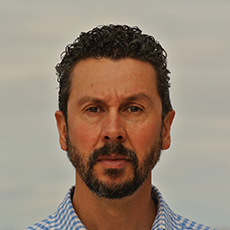 Francesco Sorrentino's expertise is in dynamical systems and controls, with particular emphasis on nonlinear dynamics and adaptive decentralized control. 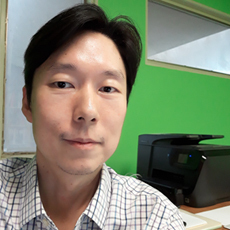 My work includes studies on dynamics and control of complex dynamical networks and hypernetworks, adaptation in complex systems, sensor adaptive networks, coordinated autonomous vehicles operating in a dynamically changing environment, and identification of nonlinear systems. I am interested in applying the theory of dynamical systems to model, analyze, and control the dynamics of complex distributed energy systems, such as power networks and smart grids. Peter Vorobieff has an M.S. degree in applied mathematics from Moscow University (Russia, not Idaho) and a Ph.D. degree in mechanical engineering from Lehigh University (Pennsylvania). Before joining the ranks of the academia at The University of New Mexico, he has worked in a variety of places - from Russian Association of Space Explorers to Los Alamos National Laboratory (not to mention odd jobs as a news photographer, newspaper columnist, construction worker, etc.). His primary research interests lie in the area of fundamental hydrodynamic instability studies, renewable energy, and advanced experimental techniques. He presently serves as Associate Chair of the Department of Mechanical Engineering at UNM and as the director of the departmental graduate program.